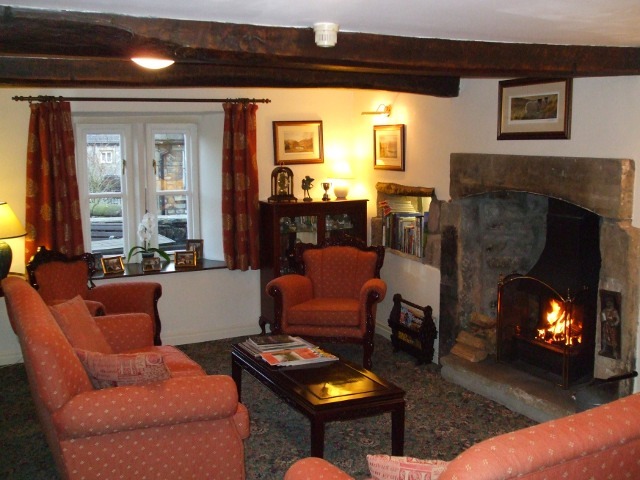 Wood View is one of Austwick's oldest farmhouses (circa 1700), being an elegant Grade II listed building situated on the village green. 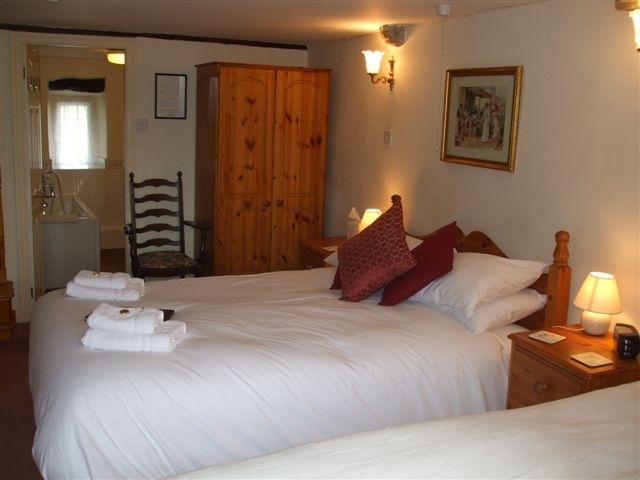 Containing many original features such as open fires and beams, it is the home of Sue and David Dewhirst, who provide a high standard of accommodation for discerning visitors to the area. Complimentary refreshments will be provided in the residents' lounge on arrival. This charming beamed room has an open log fire in the cooler months and is the ideal place to discuss the days' adventures, read a book or just relax. 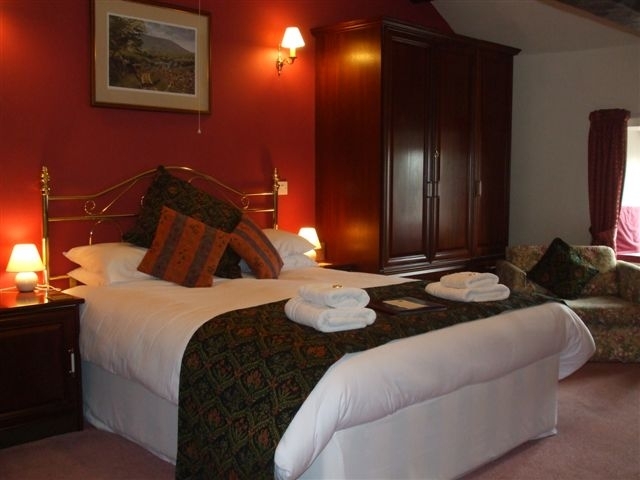 Wood View has 5 comfortably furnished, spacious double/twin bedrooms, each with en-suite bath or shower facilities. Each room also has a colour television, clock radio, hairdryer, hospitality tray and toiletries. Breakfast is a leisurely affair at Wood View, with generous helpings of traditional English food, as well as a vegetarian option. Packed lunches can be provided and flasks filled to fortify you during your day on the fells! We regret we are unable to take children under 12 years of age. Well behaved dogs are accepted by prior arrangement. A private car park provides ample space for all guests' cars. Wood View is a completely non-smoking establishment. We do not have a drinks license but guests are welcome to bring their own wine and we will provide the glasses and a corkscrew.